Prion protein peptide (PrP) has been associated with neurotoxicity in brain cells and progression of prion diseases due to spongiform degeneration and accumulation of the infectious scrapie prion protein (PrPSc). Autophagy has been shown to provide protective functions for neurodegenerative diseases, including prion disease. Thymosin beta 4 (Tβ4) plays a key role in the nervous system, providing a neuronal growth effect that includes motility, neurite outgrowth, and proliferation. However, the effect of Tβ4 on autophagy in prion disease has not been investigated. In this study, we investigated the neuroprotective effects of Tβ4, an activator of autophagy, in cholinergic signaling activation in PrP (106–126)-treated HT22 cells. 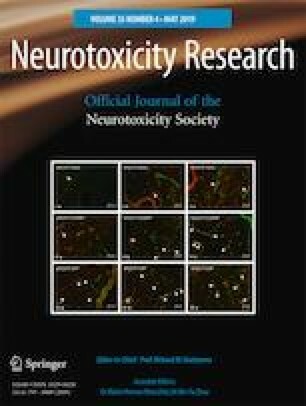 We found that Tβ4-induced autophagy markers, LC3A/B and Beclin1, were protective against PrP-induced neurotoxicity. Interestingly, a balance between autophagy markers and autophagy pathway factors (AKT, p-AKT, mTOR, and p-mTOR) was maintained by Tβ4 competitively against each protein factors reacted to PrP (106–126). The cholinergic signaling markers ChTp and AChE, which play an important role in the brain, were maintained by Tβ4 competitively against each protein factors reacted to PrP (106–126). However, these results were reversed by 3-MA, an autophagy inhibitor. Taken together, our results indicate that Tβ4 has cholinergic signaling activities through the induction of autophagy. Thus, Tβ4 may be to a potential therapeutic agent for preventing neurodegenerative diseases. This work was supported by a grant from the National Research Foundation of Korea, funded by the Korean government (NRF-2015R1D1A1A01057696).